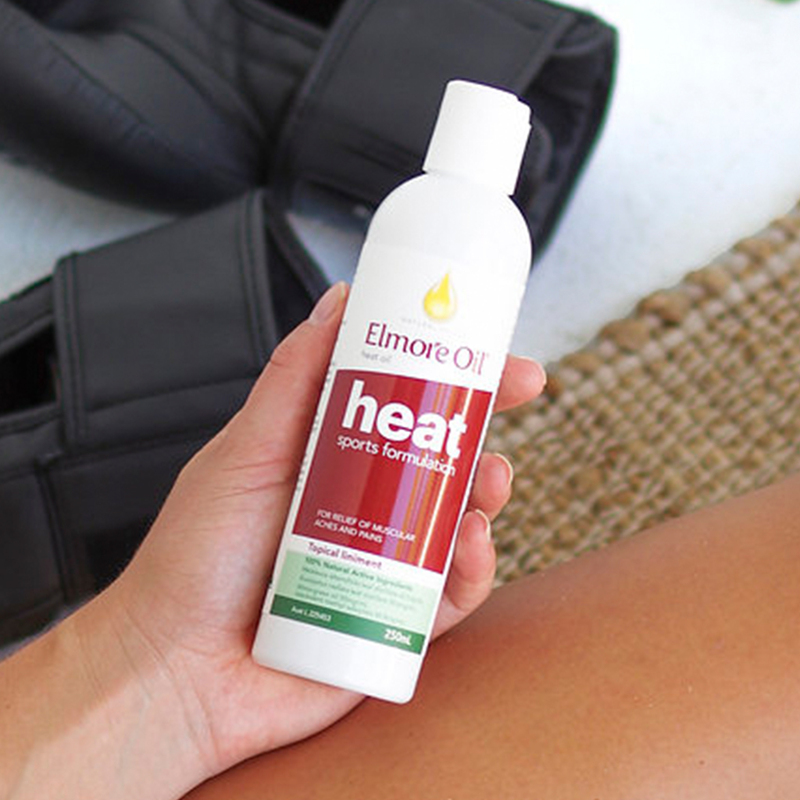 With 100% natural active ingredients (Eucalyptus Oil,Melaleuca alternifolia and Wintergreen oil), Elmore Oil Heat works to give temporary relief of muscular aches and pains. 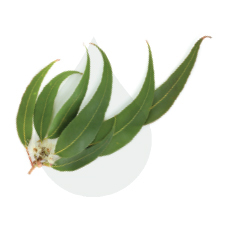 The natural active ingredients include Eucalyptus Oil 38.6 mg/mL, Tea Tree (Melaleuca alternifolia) fresh whole plant distillate 42.5 mg/mL and Wintergreen Oil 50 mg/mL. 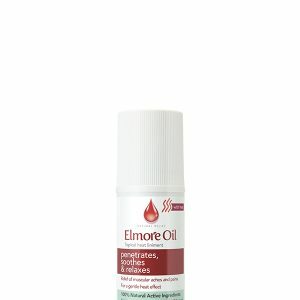 Adults: Apply a small amount of Elmore Oil Heat to the affected area and gently massage in until fully absorbed. Use twice daily or as required. For the temporary relief of muscular aches and pains. If symptoms persist consult your healthcare practitioner. Contains methyl salicylate. Do not use if pregnant or likely to become pregnant. Do not use this product in children 6 years of age or less. Application to skin may increase sensitivity to sunlight. Avoid prolonged exposure in the sun. 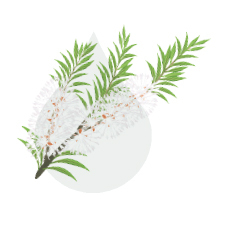 If irritation develops, discontinue use. For external use only. Use Elmore Oil Heat as directed and if you are not completely satisfied, simply return the unused portion to the address shown on the pack for a full refund.